Investing.com – WaltDisneyhit a new high on Monday. Up 1.6% at 2: 28 p.m. ET (18: 29 GMT) it appears headed to a record closing high as well. 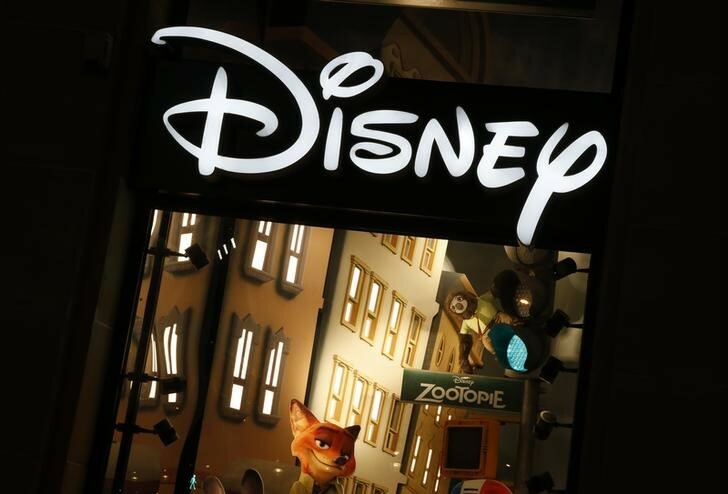 Wall Street is split on how much more Disney’s (NYSE:) shares will rise, even with the potential of the company’s Disney+ streaming video service scheduled to start in November. Eighteen of 23 analysts tracked by Investing.com rate the stock a buy, with just five giving the shares a neutral grade. BTIG analyst Richard Greenfield upped his rating on the stock from sell to neutral on Monday. Meanwhile, the consensus 12-monthtarget price is $131.27, a touch lower than Monday’s price. The stock may be up 20% this year, seventh-best among the 30 stocks, but 92% of the gain has come just this month and 65% came last week. Most technical analyses of the stock say Disney is a buy. But momentum indicators suggest Friday’s 10.8% run-up was too much too fast. Disney’s big April run-up seems to be built on the long-term promise of Disney+. It will have many of the classic Disney shows, films and programming, the Marvel and Star Wars universes and content acquired in its recent Fox deal, plus a new stable of original programming. Disney plans to price the service on the low side, believing customer satisfaction will be great enough that subscribers won’t get turned off by price increases down the road. That’s what Netflix’s (NASDAQ:) and Amazon.com’s (NASDAQ:) video services have shown. Its reported earnings have been somewhat static. The consensus estimate from the analysts tracked by Investing.com is for fiscal-second-quarter earnings of $1.54 a share on revenue of just under $15 billion. The report is due May 8. A year ago, Disney reported $1.84 a share on revenue of $14.1 billion. Meanwhile, investors in Netflix are concerned about Disney’s effect on the streaming universe. As Disney soared on Friday to a record close, Netflix fell 4.5% and is off an additional 2% on Monday. It also is down nearly 19% from its 52-week high. Fusion Mediaor anyone involved with Fusion Media will not accept any liability for loss or damage as a result of reliance on the information including data, quotes, charts and buy/sell signals contained within this website. Please be fully informed regarding the risks and costs associated with trading the financial markets, it is one of the riskiest investment forms possible.